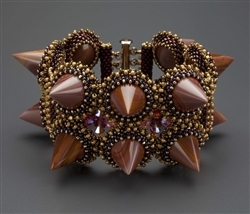 A unique, one of a kind cuff bracelet made from custom-cut wonderstone points, glass seed beads, crystal beads and a 14K gold clasp. Finished length, when closed is: 7.25 inches. Fits a 6.5 to 7 inch wrist. 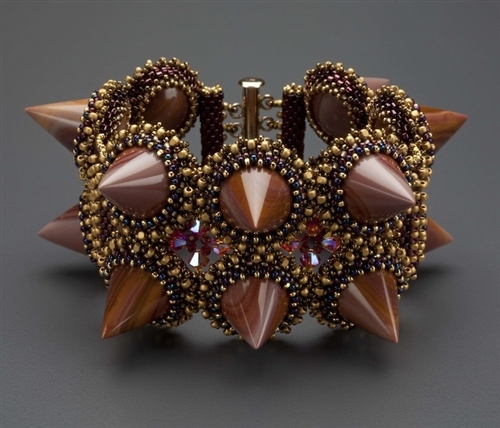 Due to the sculptural nature of this piece, care must be taken when it is worn.